Never call Mary Jane Watson, a Plain Jane. Why? It's simply not true—just look at her impressive history. She's been a model, an actress, the owner of a successful nightclub and Tony Stark's executive assistant. She stood beside Spider-Man through thick and thin, and she even wore the Iron Spider suit to fight off villains in more recent comic book stories. She gets it. No one leads an excitement-filled life like that being just a Plain Jane, so why should you? It's time to take a note from Mary Jane's book. It's time to add a little flair to the way you carry around your keys and ID cards. It's time for a little bit of Spider-Man in your life. 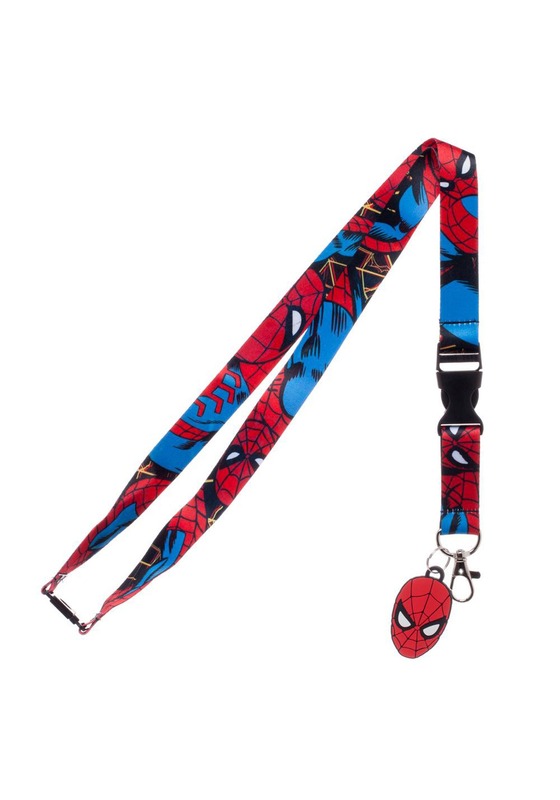 Sure, you could wear a Plain Jane kind of lanyard to carry your keys and ID card, but there's no need for it now that this Spider-Man lanyard exists. It has plenty of Spidey graphics all over it and it comes with a Spider-Man charm attached to the bottom of it. You can place your work or school ID inside of it to shake from the shackles of being just a Plain Jane kind of person. Now, go get 'em, tiger!